There are many ways you can help me to bring this message to the world. By subscribing to my channel, along with liking and sharing these videos, you are helping this channel to grow. 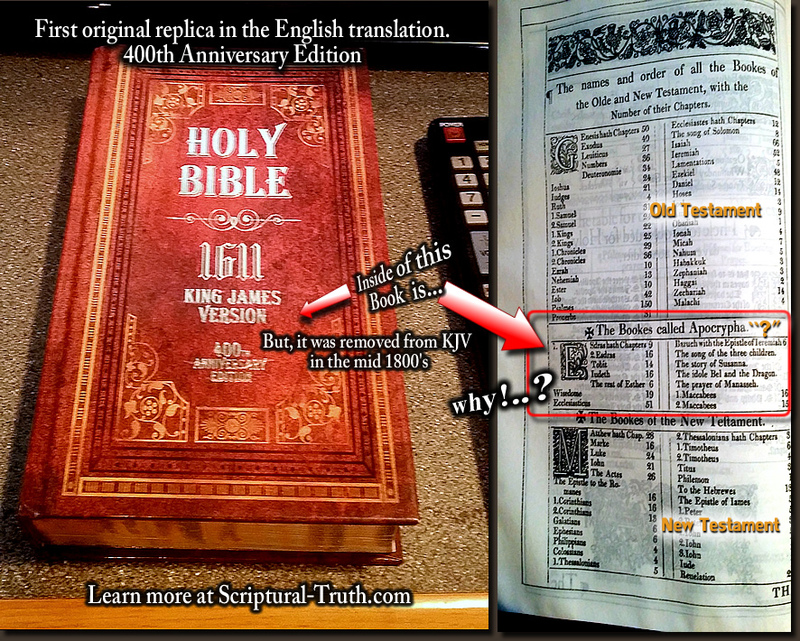 Click Here for all PDF - KJV-1611 Apocryphal Books ... Audio MP3---> "The Mysteries - Keys To The Kingdom"
Power Packed Eye Opening Series..!! FYI... Robert Ferrell and InHisWord2, both have videos of the "Unveiling the Book Of Revelations" on thier YouTube Channels..!! PDF Study Guide Parts 1-5 on Unveiling the Book fo Revelation, This PDF works better after you down load it to your computer. It does not work correctly in most internet Browsers. So please download it separately...	Special Thanks to... Robert Ferrell and InHisWord2 !! ..... NEW!!! THE GOSPEL OF THOMAS and also in 47 OTHER LANGUAGES Click Here!!! THE PARABLE OF THE TALENTS Unlocked by InHISWord2 & Robert F... Click Here!!! -- or----------Read it "Now"
NEW!!! WHAT WAS THE SIN IN THE GARDEN Free PDF - Click Here!!! ---------------- or----------Read it "Now"
NEW!!! (List) SCRIPTURAL KEYS (Language Of The Holy Spirit) Free PDF - Click Here!!! NEW!!! END TIMES - SIGN OF JONAH - Free PDF... Click Here!!! ------------------------- or----------Read it "Now"
NEW!!! 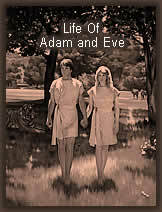 This True Story - THE DAY GOD ANSWERED MY PRAYER - Free PDF... Click Here!!! --- or---Read it "Now"
Trey Smith with Robert Ferrell - Full Length video -This is a great video for the family!! Unlocking the Scriptures - Second Peter & Jude Part 1 Robert Ferrell explains the interpretation of the Book Of Jude and Second Peter like you never heard before. Check it out. Unlocking the Scriptures - Second Peter & Jude Part 2 Understanding the higher level of the scriptures and seeing what you never seen before.Finish the series with Part 3. Click here. Taking this principle as my cue, I have compiled a GOSPEL HARMONY based not only the Canonical Gospels of Matthew, Mark, Luke & John, but from dozens of Apocryphal books as well called the SUPER GOSPEL.Here, in the scope of one book, you can read all the available traditions about Jesus in a single, readable text. The lines are deliberately blurred between what is canonical and what is not in order to drive home the fact that the differences are not really obvious between these two sets of documents, and the difficulties between the 80+ sources that went into it are of no greater extent than those that already exist between the four. The original title for this book was supposed to be Living Jesus, Living Legend, but I didn't wish to imply that some of this is merely legend. Incidentally, when I say it the "Super Gospel" I only mean it is the Gospel in its greater, or broader context. I have also CAPTIONED the entire book so that anyone in any language throughout the world can read it! Just a little introduction to what is available on my YouTube channel, as well as a little background information as to how all of these things came about. I believe that God has shown me some things which I am not ordinarily forward to present, but after almost 6 years of being on YouTube and 1,600 videos later probably bears some explanation. Things happened to me in my life that caused me to believe as I do, and I hope this video sheds a little more light on them. Three Examples below: Parables explained from the Lost Gospel of Thomas. (3) Gospel of Thomas - Unveiled with Keywords of understanding. Fill Free to download any video's from my Youtube channel, into MP4's on to your computer... God Bless! Must See..!! 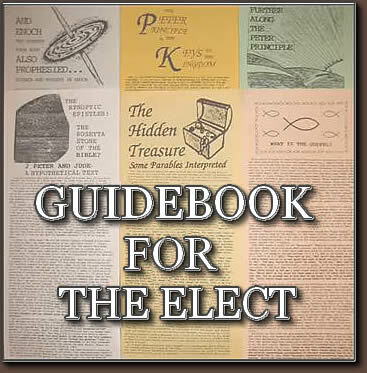 Learn How To Understand Parables from the Guidebook For The Elect... One of six treatises I wrote the winter of 1997-1998. This one combines the letters of Second Peter and Jude. Biblical scholars have long held that Second Peter waters down Judes usage of apocryphal books by not quoting them as explicitly. I, however, attempt to demonstrate that far from trying to restrain Judes usage of these documents, Peter actually ensures that we will one day realize just what we have forgotten about our original Christian heritage--the mystery of these lost books, which was passed down from Jesus himself, to the early church through his apostles. 4:07	hours	long, is a big file. 452 MB download. FREE .MP3... CLICK OR RIGHT CLICK IMAGE OR HERE... SAVE TARGET AS OR LINK AS... TO GET YOUR FREE .MP3 DOWNLOAD TODAY! OR HERE FOR A YOUTUBE VIDEO! For a Free .PDF click here..!! 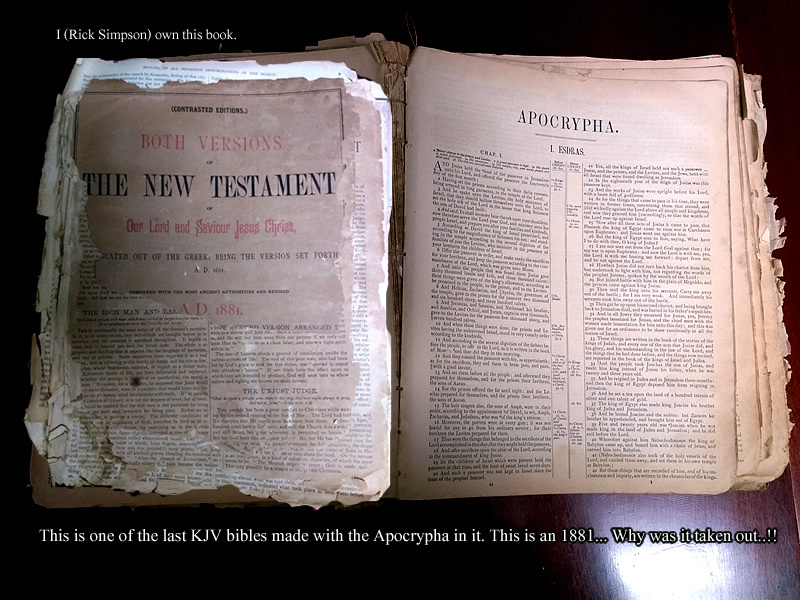 Help Promote The Apocrypha & Other Lost Books! We have FREE Bumper Stickers with FREE shipping, No donation required. We will ship worldwide... Any where..!! Here is a sample of the Bumper Sticker. Question? has this website Scriptural-Truth.com been of any value to you.